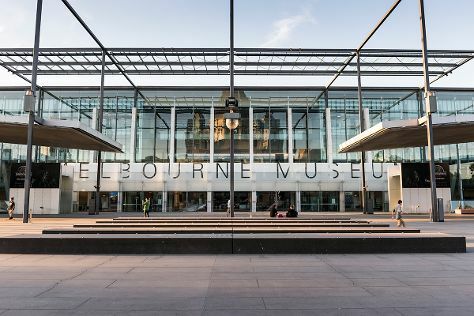 Do your shopping at Melbourne Central and Collins St/Swanston St. Melbourne Museum and National Gallery of Victoria are good opportunities to explore the local culture. When in Melbourne, make a side trip to see Koala Conservation Centre in Cowes, approximately 1h 35 min away. Spend the 23rd (Wed) wandering through the wild on a nature and wildlife tour. The adventure continues: brush up on your military savvy at Shrine of Remembrance, admire nature's wide array of creatures at Melbourne Zoo, explore the world behind art at The Ian Potter Museum of Art, and shop like a local with Degraves Street. For traveler tips, reviews, photos, and tourist information, you can read our Melbourne route planning site . Jakarta, Indonesia to Melbourne is an approximately 10.5-hour combination of bus and flight. Due to the time zone difference, you'll lose 3 hours traveling from Jakarta to Melbourne. Prepare for colder weather when traveling from Jakarta in October: high temperatures in Melbourne hover around 24°C and lows are around 9°C. Finish your sightseeing early on the 23rd (Wed) to allow enough time to travel to Sydney. We've included these beaches for you: Manly Beach and Bondi Beach. The Rocks and Sydney Opera House are good opportunities to explore the local culture. 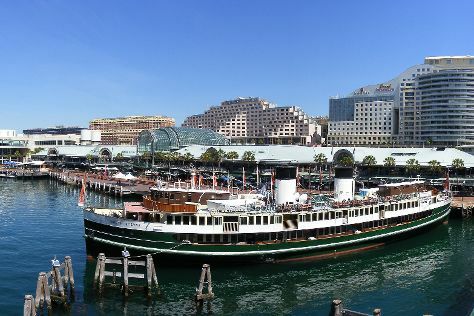 Next up on the itinerary: browse the eclectic array of goods at Sydney Fish Market, admire the masterpieces at Art Gallery of New South Wales, view the masterpieces at Brett Whiteley Studio, and examine the collection at Australian National Maritime Museum. For maps and other tourist information, go to the Sydney trip itinerary planner. Traveling by flight from Melbourne to Sydney takes 3.5 hours. Alternatively, you can do a combination of shuttle and flight; or drive. Plan for a bit warmer temperatures traveling from Melbourne in October, with highs in Sydney at 28°C and lows at 17°C. Wrap up your sightseeing on the 26th (Sat) to allow time to travel back home.